The holiday season is often marked with its trademark rush – people hustling through their shopping lists trying to complete it before Christmas Eve and passengers crowding bus stations, airports, and other terminals to get home in time for noche buena. But it’s not the same for everyone, as every Christmas season, thousands of people work tirelessly just to make sure that everyone else can celebrate and feel the yuletide spirit. 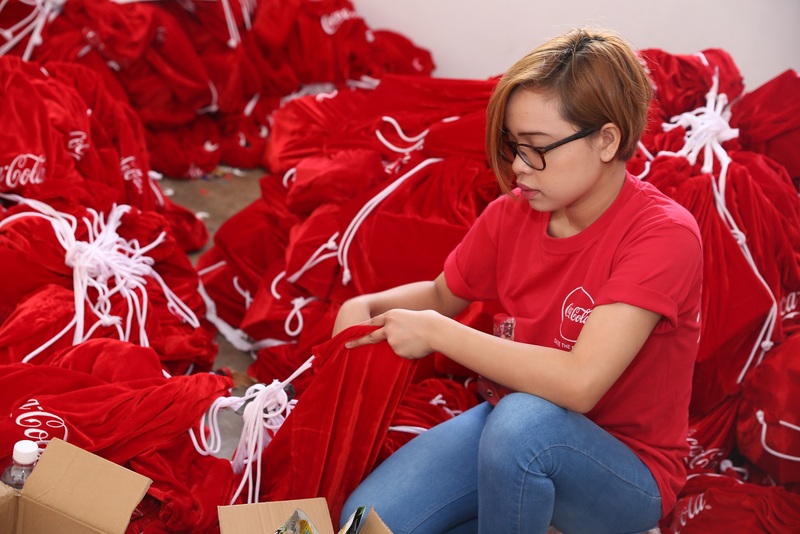 Partner agencies and associates of Coca-Cola Philippines worked overtime to bring holiday cheer among the unsung heroes of Christmas, otherwise known as Tagahatid Pasko. This year, Coca-Cola paid tribute to people more popularly known as “Tagahatid Pasko”, highlighting how their hard work, dedication, and sacrifice has made it possible for everyone to have the merriest celebrations this season. 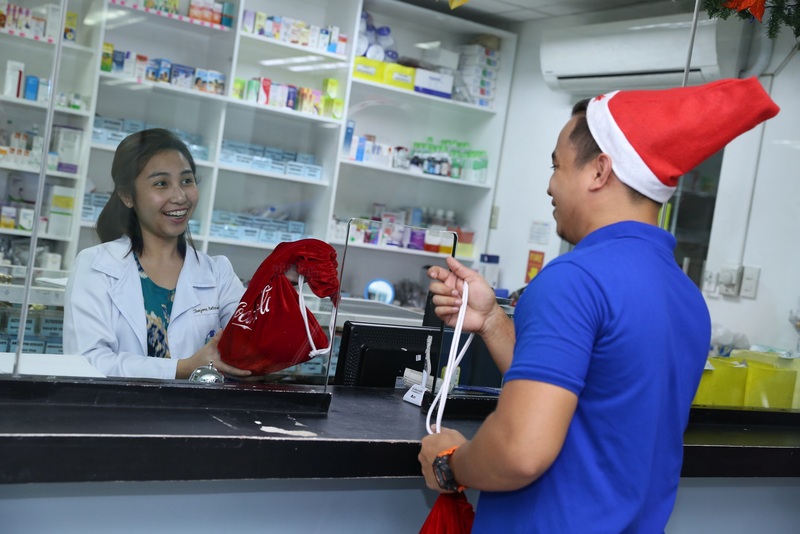 All throughout December, the Company gave gifts and surprises to over 15,000 Tagahatid Pasko around the country as their way of thanking the various unsung heroes of Christmas who tirelessly work to bring a merry season for everyone else. 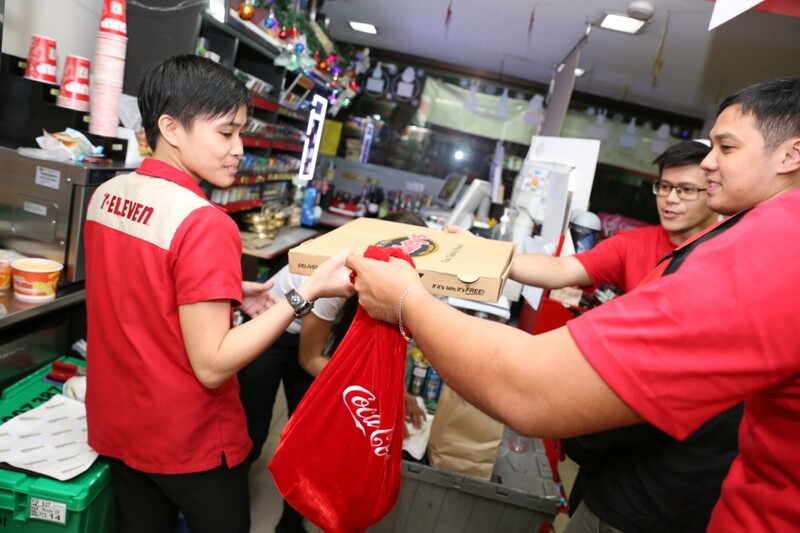 Store clerks at partner convenience stores of Coca-Cola were surprised with holiday treats during Christmas Eve. On Christmas Eve and Christmas Day, several Tagahatid Pasko were surprised by Christmas carolers and associates with ice-cold bottles of Coca-Cola at their workplaces. Over 15,000 Santa packs filled with food items and special gifts greeted the unsung heroes of Christmas who were still in their workplaces. 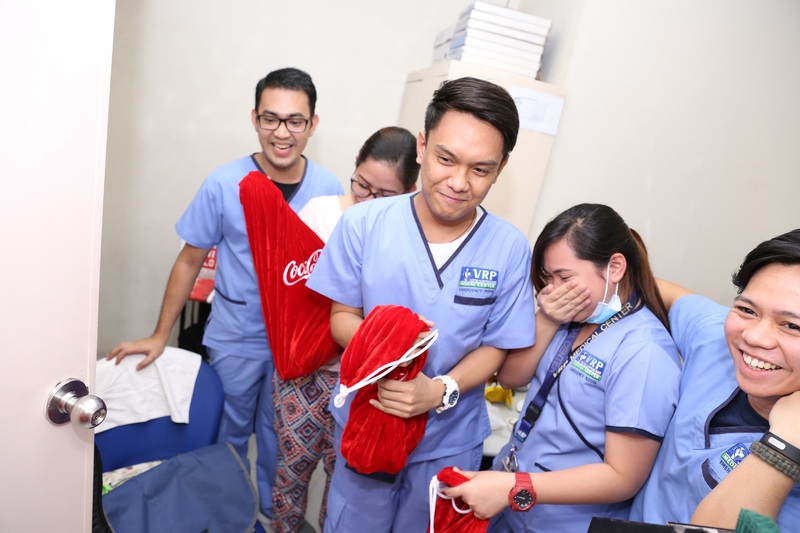 Nurses on duty during Christmas Eve were pleasantly surprised with the special gifts from Coca-Cola, a sign of gratitude for the sacrifices they make on these special holidays. 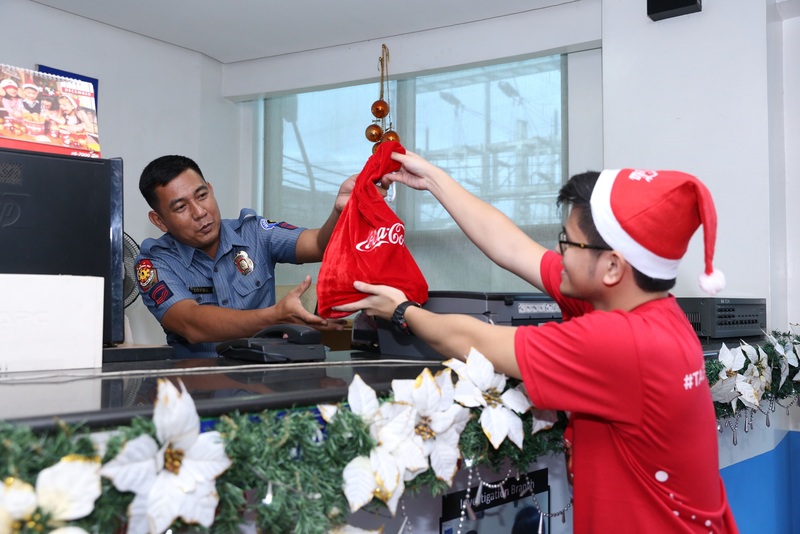 Even police officers, who are on duty during the holiday season, received Coca-Cola Santa sacks as a sign of gratitude for the service they give. “This is our way of expressing our gratitude to the people who help us make Christmas happen in our own homes – be it the grocery clerk who makes sure the shelves are well-stocked, or the gift-wrapping teams who work until midnight at department stores, or the toll booth operator who works overtime just so everyone can come home in time for Christmas. To all of you, thank you!” said Stephan Czypionka, Coca-Cola Philippines Vice President for Marketing. A pharmacist gets a break from the usual customer. Instead, she receives a Santa sack of holiday cheer from Coca-Cola associates on Christmas Eve. 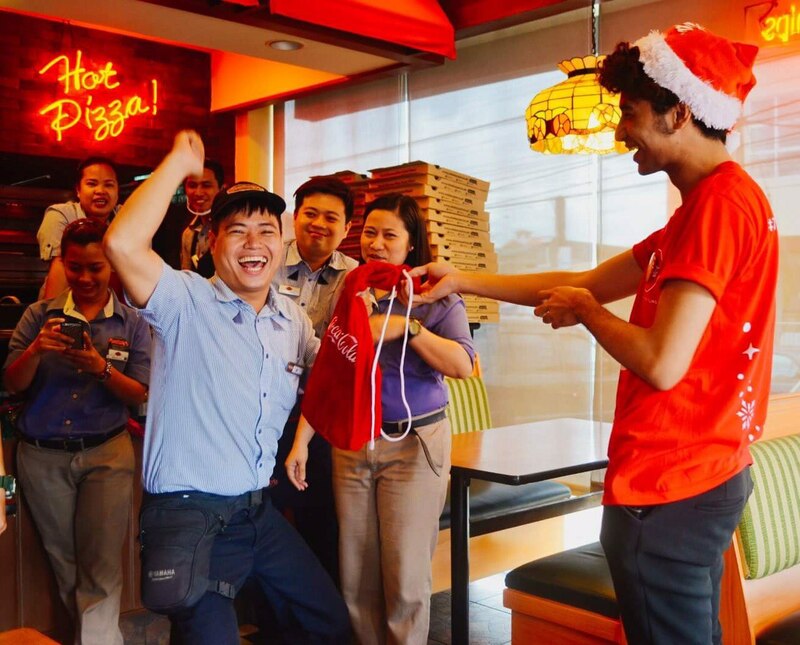 A restaurant staff could not hold back his joy when he received a Santa sack of goodies from Coca-Cola last Christmas Eve. One of the Tagahatid Pasko is Carla Dominique Diego, who works in the gift-wrapping section of a leading department store. Since the onset of the Christmas season, she has been working longer hours in order to accommodate all the customers. “Pag Christmas season, napakarami po talagang nagpapagift-wrap. Nakakalungkot lang isipin na hindi ko manlang naaasikaso yung mga regalo para sa family ko dahil busy ako sa pagbabalot ng mga regalo ng ibang tao,” she said. Wait staff are also one of those who tirelessly work overtime during the Christmas season to allow others to celebrate the festivities with their loved-ones and friends. Jerico Gonzales, who works the night-shift at a restaurant, says that the holiday rush makes its more challenging for them. “May mga guests ako na bumabalik-balik, at naiisip ko, ang saya nila, sana ganyan din nararanasan ko ngayon. Paskong-pasko, di ko manlang nakakasama ang pamilya ko,” he said. Even jeepney drivers became the recipient of Coca-Cola Santa sacks, after all, everyone is a Tagahatid Pasko to someone. 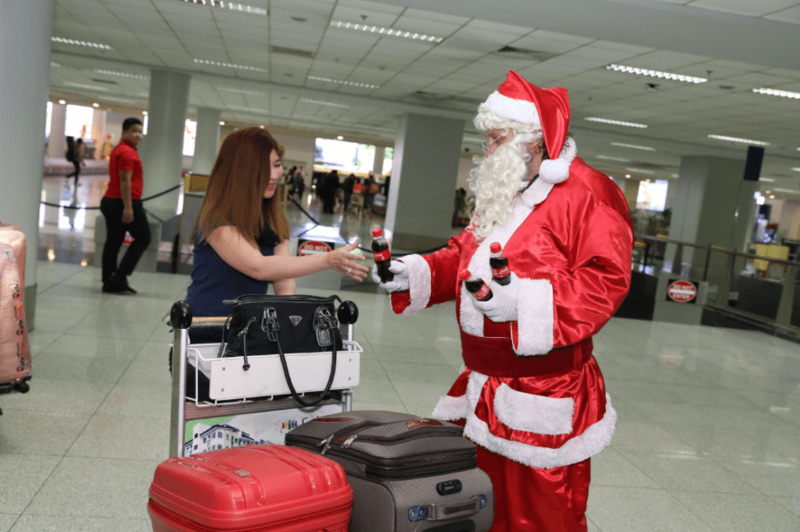 Even Filipinos who trooped home received bottles of Coca-Cola upon their arrival as a sign of gratitude for making Christmas more special for their family and friends. 24-year-old Red Cross volunteer and Tagahatid Pasko Brenda Paule recalls joining her team in the aftermath of Typhoon Yolanda to bring the spirit of Christmas to typhoon survivors and other relief workers. “Sharing the joy of Christmas is more than gifts; it’s about being there for others. There is no joy like seeing the smile on the face of others because of something that you have done. And that for me is the priceless reward of what we do,” a misty-eyed Paule said. For the past four years, Paule has spent her noche buena in the streets, ready to respond to any untoward incident that may arise. 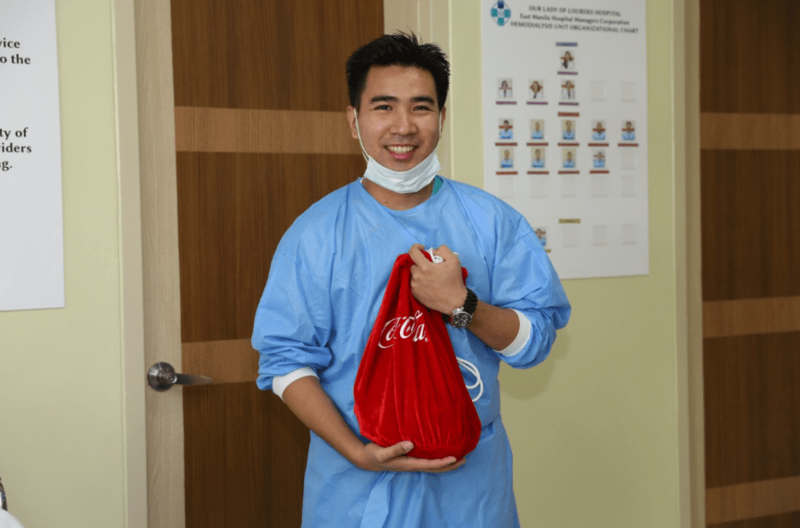 Even on Christmas Eve and at work, a doctor at the hospital finds time to share a smile with patients and enjoy a bottle of Coca-Cola, too. Like many other medical practitioners who are on duty during Christmas, they are one of the Tagahatid Pasko. Janine Gutierrez joined the Coca-Cola float during the Metro Manila Film Fest parade last December 23. 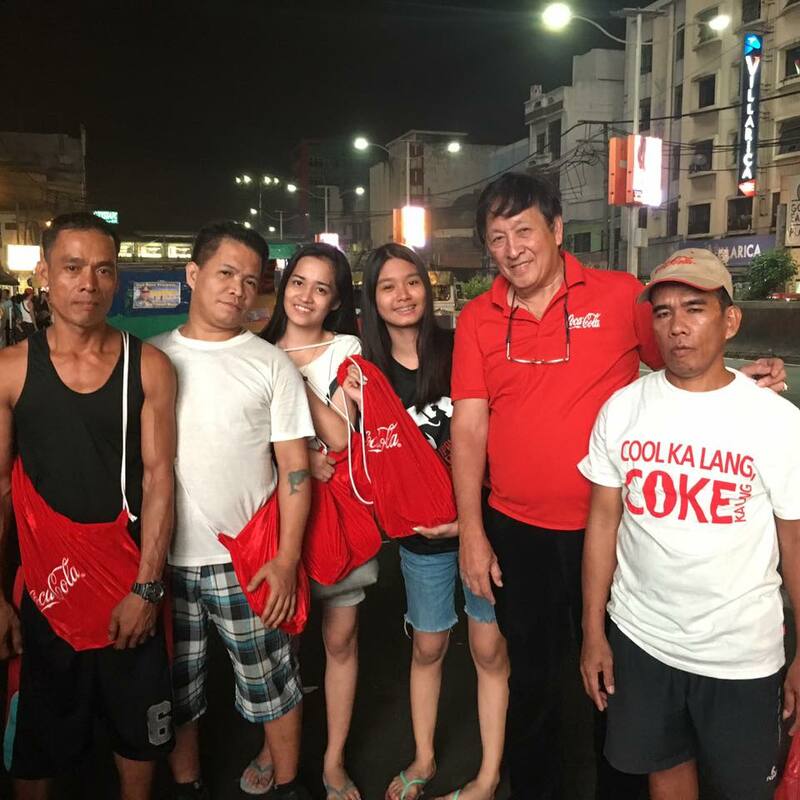 The Coca-Cola Christmas campaign did not stop with giving out Santa sacks, celebrities also joined the celebration by being this year’s Tagahatid Pasko during the Metro Manila Film Festival 2016 Parade by giving out ice-cold bottles of Coca-Cola. While a Christmas Concert, top-billed by the country’s best musicians and most popular love-teams, together with Coca-Cola Ambassadors James Reid, Nadine Lustre, Enchong Dee, Ylona Garcia and Bailey May, serenaded and performed for over 300 unsung heroes of Christmas from partner companies earlier this month. Together with Coca-Cola in thanking all our Tagahatid Pasko this year are partner organizations Sta. Lucia East Grand Mall, Rotary Club Philippines, Shakey’s Pizza, McDonald’s, Grab, iFlix, Robinsons Mall, Jollibee, Zomato, 5by20 Women Artisans of Tondo, 7-Eleven, Shell, Select, Mini Stop, Metro Manila Development Authority, Djarn Manpower, Sentinel, Tropical Hut Pasay City, the Philippine National Police, and VXI.